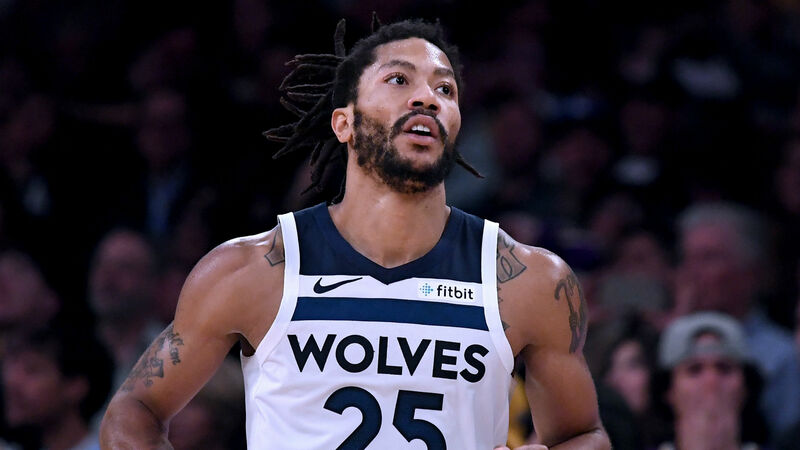 The Minnesota Timberwolves will be without Derrick Rose, Jeff Teague and Robert Covington for their last 11 games of the NBA season. Rose has been dealing with elbow pain, forcing him to miss the team's last four games. The guard underwent an MRI scan on Tuesday, which revealed a "chip fracture and loose body" in his elbow. Fellow guard Teague has been sidelined for Minnesota's last four games due to a left foot injury that he suffered in December. He will be assessed again in three weeks after being given an injection to treat chronic inflammation. Small forward Covington has missed the Timberwolves' last 34 games due to a right knee bone bruise he initially suffered on New Year's Eve. He was preparing to rejoin the team, but faced a setback and will need more treatment before he can return. The Timberwolves enter Thursday's game against the Charlotte Hornets with a 32-39 record, sitting 10th in the Western Conference - nine and a half back from the eighth-placed Oklahoma City Thunder.